LUNACY! The Lib Dem energy minister switched our biggest power station from coal to wood brought by diesel-guzzling ships from the U.S. The result? It costs us all a fortune and emits MORE pollution. This is a real landmark for Drax and for Britain’s energy security,’ he said. ‘Drax’s ambitious plans have made it one of Europe’s biggest renewable generators, helping to increase our green energy supplies. These warnings, even though they were publicised by green groups such as Friends Of The Earth, were ignored by the Coalition government. “To understand how we are now locked into environmental policies, we have to go back to 2008 when a rising star of the Labour government, Ed Miliband, piloted through Parliament the Climate Change Act. …and look who’s on the board of Zilkha Biomass! Yes, UKIP is the only possible saviour. 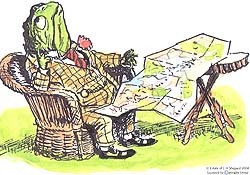 LibLabCon+greens are all mad as hatters when it comes to “climate change” and energy policy. Who was it who said that crime doesn’t pay? They got that horribly wrong. Can these targets get voted out by a future government? “That’s fixed Drax!” he concluded, and went back to deciding where to install more windmills in the countryside. they need to cut down their forests to burn in the UK first and foremost. It’s what that bunch of hippies were asking for when they helped create “Global Warming” in the first place. Serve up some justice at the same time. @MKelly they could have a vote in parliament tomorrow and repeal any Law. The only issues are where we have signed international agreements. But even here under the Geneva convention no agreement can be entered into without a mechanism for getting out of the agreement. This is why we have article 50 of the Lisbon Treaty, not because anyone was feeling generous. So provided the climate change act was UK only it could go tomorrow. Sometimes you have to laugh at the stupidity and arrogance of the political class who think they can change the climate. And for Energy Ed’s next trick: smart meters. A paltry eleven billion GBP should do it if we’re lucky. Hands in pockets again, another consumer mugging on the way. Most commercial ships are fueled with “Bunker C”. This fuel is so dense that it has to be heated to keep it from solidifying in the fuel tanks. Diesel fuel is a world apart and is only used in ship’s generators and the propulsion systems of Naval vessels. So you can see that the problem is even worse than Ed Davey would dare to admit. North Carolina loves this foolishness. People are lining their pockets at our expense. Don: Don’t it give you a warm fuzzy feeling? A real bonfire of the vanities. And yes, I spotted the title, TB. Is it me, or does ‘Drax’ sound like the villain corporation in a James Bond film? 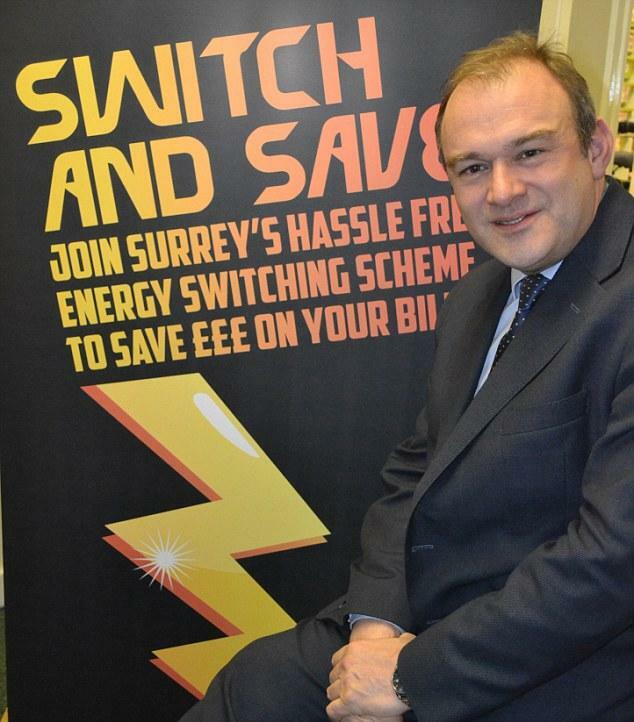 And gave Ed Davey Forty whacks. She gave Chris Huhne Forty One. I think I know why Davey and DECC are desperate to convert DRAX to burn wood chips. It is because wind has been such a disaster. To meet EU targets for 2020 DECC must show that 20% of energy is renewables. They don’t care about climate change or the environment. They just want to look good by meeting “Targets” ! Wind does nothing for Energy Security ! They rely on Biomass to bring the “renewable” proportion up to 15%. The only way to reach the 20% target by 2020 is to convert DRAX plus other stations to burn wood (as in the 18th century). It is just about saving face and their careers! The climate change act has provisions for changing the targets if the science changes. I would say if 18 years of non-warming won’t change the science, we’re f*cked until we can elect a UKIP govt. Neither this government nor Labour will change the Climate Change act targets. I don’t think it has anything to do with climate science any more. They don’t even understand the science anyway. 97% of MPs voted to pass the act, so they cannot now allow themselves to look stupid. Eventually something will break. I once met a Dutch power engineer who worked in a Coal Power Station near Rotterdam. He told me they had done tests burning wood chips. If there is any moisture left in the wood they can explode and damage the boilers! 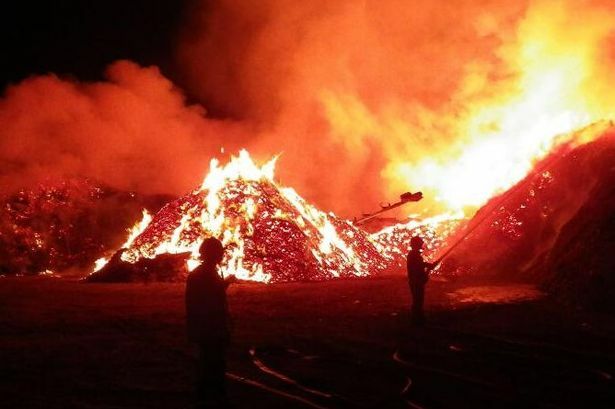 Woodchip fires will keep the fire services busy. Here is a video of the area being stripped of trees to provide wood chips for Drax, etc. The fact Is they kill living trees to preserve dead trees. They destroy rain forests in Borneo to grow Palm Oil for Biodiesel. They destroy Amazon rain forest to grow sugar Cane for Green Petrol. Today there is an opportunity for two small sections of the country to shake up these shysters.